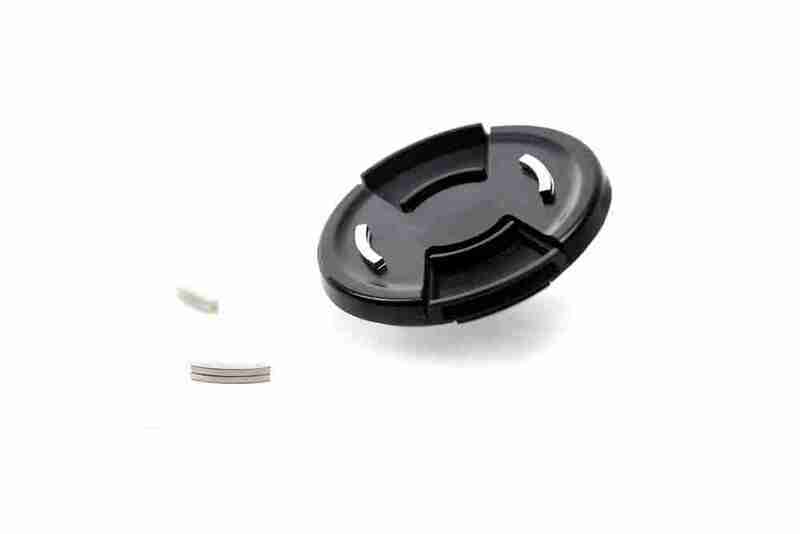 TriLens™ Lens cap magnets - Now FREE shipping worldwide! Arc magnets that sticks to your lens caps. Used to protect the empty slot on the TriLens™ from dust and keeps you from misplacing your caps. Ships with double sided adhesive and comes in sets of 5 or 10 pairs. Each lens cap requires one pair of arc magnets.